MIT Directors Fellow & 6 Time TED presenter are just two of Marco Tempest's claims to fame. Adventurer, Scientist, Showman, Dreamer and Hero… There’s no one quite like Marco Tempest. His imaginative combination of digital imagery, video, music and stagecraft with a unique vision of life in the future is creatively unique and unequalled within the performing arts. No one else combines the incredible technical savvy with the showmanship, physical skills and the charisma of Tempest. With all that talent, it’s amazing that he seems to enjoy poking fun at himself and all those marvelous toys! Marco gets a kick out of bending reality around the edges. 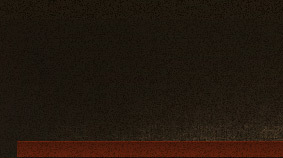 Is that image in the screen, or just in front of it? 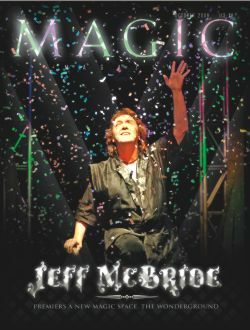 A foremost innovator and among magic's most exciting performers, Jeff McBride combines masks, martial arts, Kabuki theatre, world class sleight-of-hand, myths & stories from around the world, grand illusion - and more - to create electrifying performances that thrill a wide range of audiences. He has been seen on every television network, and his show has won raves in showrooms in Las Vegas, Atlantic City and around the world. 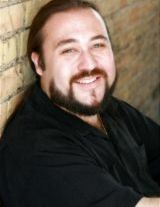 In addition to his award-winning work as a performer, he is the founder of the McBride Magic and Mystery School, named by BBC as the world's "most prestigious" school for magicians. McBride's deep knowledge of the magical arts and it's relationship to our culture has placed him in demand as a speaker and lecturer. Click here for more on Jeff McBride.